The intriguing factional fights in the Apostolic Faith Mission threaten to decimate the church in Masvingo, with many congregants now staying away from services to protest what they consider to be disgraceful squabbles driven by greed. At least two pastors from local assemblies are likely to be pushed out of their positions at the behest of powerful elders who reportedly want to create room for their own pliable pastors. The two pastors that are facing increasing pressure from their elders are Pastor Morgen Ngwaru of Faith Centre assembly in Rujeko and Reverend Salatiel Madziva of City Centre assembly. Recently, there was also a serious tiff between Pastor Charumbira of Greater Grace assembly in Rujeko and a group of elders but the quarrel seems to have subsided a bit after the two sides noticed the assembly was collapsing. Many disappointed congregants had by then since stopped going to church as a way of expressing their disgust. The pastors are believed to be aligned to Rev Cosam Chiyangwa who leads a faction which is fighting tooth and nail against the Rev Aspher Madziire and Rev Amon Madawu's attempts to amend the AFM constitution. The contested amendments seek to give greater power to church elders while stripping pastors of the privilege to receive money directly from their congregants through gifts known as ‘appreciation'. 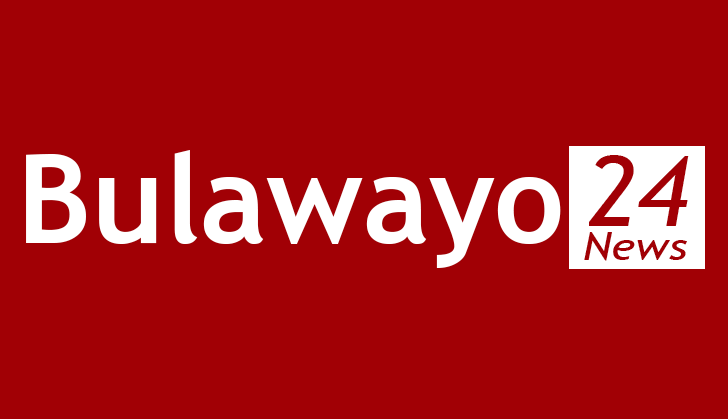 The divide has consequently seen most pastors siding with the Chiyangwa camp while elders have largely taken sides with the Madziire-Madawu faction. Sources told TellZim News a caucus of elders from Faith Centre, City Centre, Greater Grace and Mucheke assemblies were plotting to push out at least one of the pastors and make room for Nemanwa-based overseer, Rev Enock Matambanadzo who is said to be devotedly anti-Chiyangwa. Ngwaru and Madziva are also among other pastors who were reportedly pressurised by their elders not to attend a recent three-day provincial conference held at Mucheke Provincial Stand, on the basis that it was organised by the Chiyangwa faction. The conference, which began many hours late on November 09 after the Madziire-Madawu loyalists led by one Sadzauchi refused to release the PA system, was also boycotted by many pastors and church members from the opposing faction. When contacted for comment, Ngwaru acknowledged there was tension between him and his elders emanating from attempts to twist facts. This came after he angrily chided his elders in front of congregants for allegedly lying to the church that he had finally agreed to back the Madziire-Mudawu faction. "I have never agreed with anybody that we will take this or that side. I remain removed from any conflict. I was therefore surprised that people wanted to put me into a certain corner without my agreement. It was done in my absence and when I came back, I rejected it and made it clear we must take only God's side. So, it's a pastors vs elders thing," said Ngwaru. When asked if he was not worried by reports of plots being hatched to smear and ultimately push him away, and whether or not his relationship with his elders was perfect, Ngwaru said he was not worried by what goes around behind his back. "I have an excellent relationship with the congregation but it's obvious a rift has been created between me and the elders. I am here because of God's calling and I will continue to do my work regardless," said Ngwaru. He however, skirted questions on whether he had been forced not to attend the provincial conference, saying he had been away on a more pressing programme. Mhangarai Magumise, one of the elders alleged to be at the centre of the plot, said the feud which saw Ngwaru calling them out in front of congregants had since been resolved. "On that one, we later had a meeting with him. We were together with people from the province when we talked about it. You can ask them about the issue," said Magumise. He said reports that local church elders were working to push out either Ngwaru or Madziva to create space for Matambambanadzo were not true. A leaked WhatsApp conversation purportedly among other elders only identified as Shava, Sanangurai and Nemaramba, however, lands credence to the plot. "Ngwaru takapedza naye, chasara kupa simba rose kuna Matamba (We are done with Ngwaru, we are just yet to give his position to Matambanadzo)," part of the chat reads. Another source said the reform caucus was also planning to use Madziva's relatively advanced age against him by arguing that he must retire and give way to fresh blood. When contacted for comment, Madziva said he was not feeling well and was seeking treatment in Harare, promising to give a comment later. Numerous subsequent attempts to get in touch with him yielded nothing as he did not pick up his phone. Masvingo overseer, Rev Donard Ndoni, who is alleged to be a strong member of the Chiyangwa faction in the province, acknowledged there were worries in the church but said reports of serious infighting were an exaggeration. "We are working. Yes, there are worries like everywhere else, but we are not bothered. There are people who are exaggerating this because as far as I know, we are working well with elders and pastors," said Ndoni. He acknowledged, however, that they had to break the door after some people had withheld keys to the PA system on the first day of the provincial conference. On his part, Matambanadzo said he harboured no ambition to move to Masvingo, saying he knew of no such plots to remove some pastors. When asked why then he did not attend the provincial conference, Matambanadzo said he stayed away because the event was unprocedural. "Things are done according to channels….yes it was out of channel," said Matambanadzo before cutting the call and later handing the phone over to a female who claimed to be his 'legal practitioner'.